Homepage. This page: Classic Super 7 picture. Interior photo of the Super 7 Triumph. 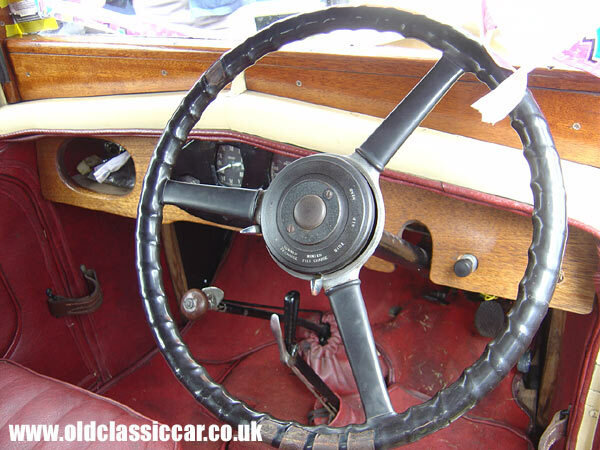 All fairly basic as was the norm for early 30s cars. Triumph Books Whether for the Super 7 as shown below, or any other type of Triumph, it is worth having a look on Amazon for books, DVDs, Videos etc. Have you seen today's eBay auction listings for the Triumph Super 7? There are thousands of pics in the oldclassiccar gallery in addition to that featured above, showing a well looked after Triumph Super 7 in the last few years. I took all the photographs unless stated otherwise in this particular collection - thumbnails of the other images in this set can be found on the misc classic vehicle photographs set 3 page. To see a rundown of all the picture collections, and maybe find more examples of Super 7s, please visit the main car, van and lorry photo section.